Home > Products > Shop > Parenting Curriculums > Ages 5-12 > Active Parenting 4th Ed. A comprehensive parenting program helping parents of kids ages 5 to 12 raise responsible, cooperative children who are able to resist negative peer pressure and thrive. Available in three convenient formats: video & discussion program (shown on left), video library and lunch & learn program. Also available as an online class for parents to take at home. 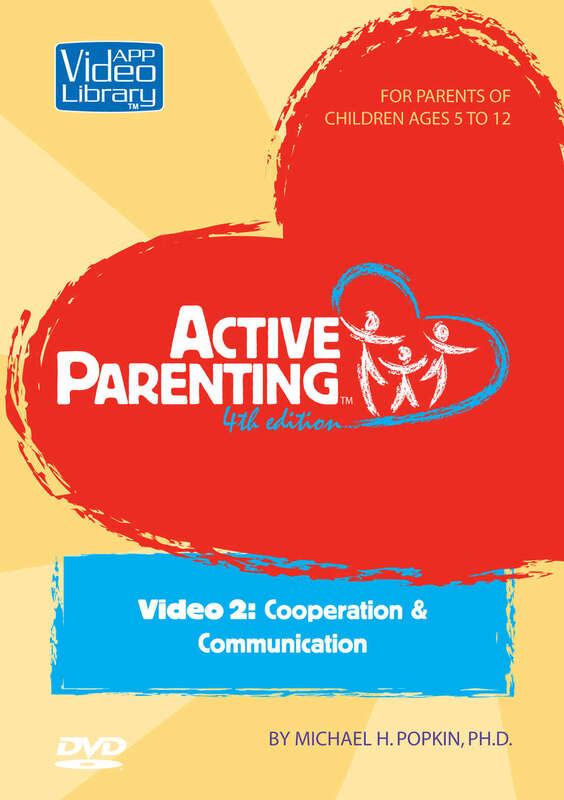 What’s so great about the Active Parenting program? Video now available embedded in PowerPoint…or DVDs—your choice! The whole parenting program is now available as a Digital Edition (ebook) for use with a laptop or mobile device. The Digital Edition can be purchased or rented. As with all the Active Parenting programs, you will have evidence-based tools you need to offer parenting classes in which parents are able to learn and laugh in a supportive environment.